REBSEA Team - The Sky is Falling-Can REBSEA Superheroes Save us? The Sky is Falling-Can Real Estate Agent Superheroes Save us? A new government study has shown the impact of climate change in the U.S., with alarming results including water scarcity, heat waves, torrential rains, and wildfires. The bottom line of this study is that the global warming of only 2 degrees in the last century was a definitive reason for these catastrophes. If we do not take action we could wind up with temperatures as much as ten degrees higher by the end of this century with catastrophic results. This study is worth reading and learning about the ways to alter the consequences we are facing if no meaningful action is taken. 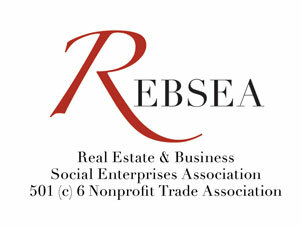 REBSEA, the Nonprofit Trade Association comprised of real estate agents and lenders who are committed to giving back to their community has made a commitment to making a difference by being Proactive on critical environmental issues. . Several REBSEA members are Ecobroker Certified and have received training in ecology and environmental issues. We will be profiling several of them in this issue of our blog. “We at Green Key Real Commercial support your intentions to conduct your business in an ever more connected, responsible manner. We are committed to local and regional businesses thriving. The Superhero members of REBSEA are doing their part to ensure that environmental aspects of real estate are being monitored and energy conservation is in place, but we have researched different Nonprofit groups and have chosen one we would like to support.